“Purple is the colour for healing, physchic ability and wisdom. 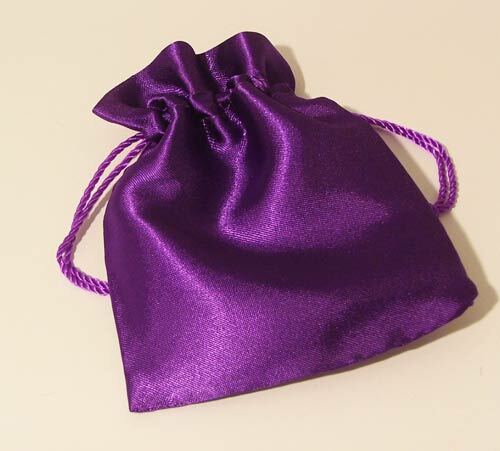 These small satin pouches are a good quality and have a lovely sheen. Traditional drawstring cord closes them.